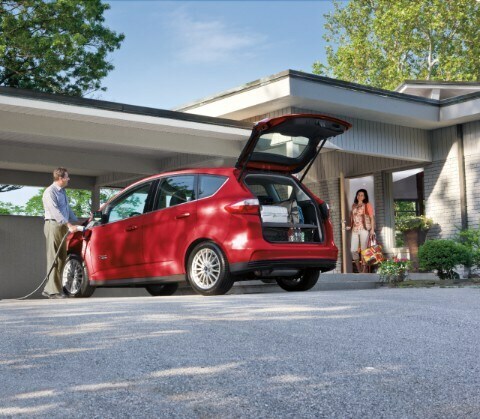 Ford's C-Max has a welcoming and comfortable layout and a relaxing interior interior. It makes good use of tall roof pillars making the cabin way more spacious. The vehicle has an increased amount of visibility and also a ton of cargo room. You can also fold down the rear seats which expands the cargo area bay which actually competes with some SUVs when it comes to storage space. Also noteworthy, is the suspension that is featured on this vehicle that shares components with the Ford Focus. It offers a smoother and less noisy riding experience which is in turn more dynamic. There is a 2.0-liter four-cylinder engine and hybrid system with two electric motors getting 195 horsepower which is 54 more horsepower than the latest Prius model. The Energi version is all-electric and gets a driving range of 19 miles due to a larger and improved battery. The Hybrid version gets 42 miles per gallon city and 37 miles per gallon on the highway. The C-Max drives extremely well and is way less stressed and way less loud when under maximum power. The 1.4-kilowatt-hour lithium-ion battery pack of the C-Max Hybrid is located under the floor behind the backseat. The plug-in hybrid C-Max Energi, however, has a much larger 7.6-kWh battery that also sits under the load floor. (You'll sacrifice some cargo space as a result.) Its official all-electric driving range is 19 miles, slightly higher than the handful of plug-in hybrids available so far. That's enough for an electric commute, with the benefits of a gasoline vehicle for weekend trips. 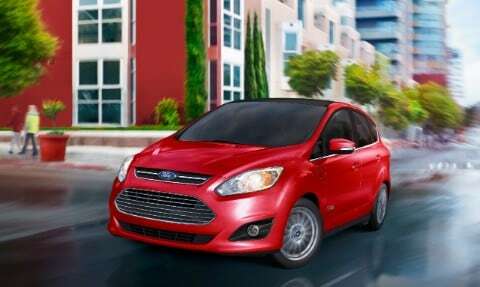 Can you help me find financing for my 2016 Ford C-Max Energi?